It's Friday already! I can't hardly believe how quickly the weeks are flying by. I have so much to do in order to be ready for birthday parties, Thanksgiving, and all the Christmas festivities coming up. It is such a "good" kind of busy. It's the kind that I love, but come January, I will be beat and ready for things to slow down again. Instagram has been a little slow for me lately. I have been working on my Root Instagram (@rootprettyliz) page and that takes up a little bit of my time. Here are some snap shots from the past couple of weeks. First, I love chubby babies. I cannot deny it. I just do. 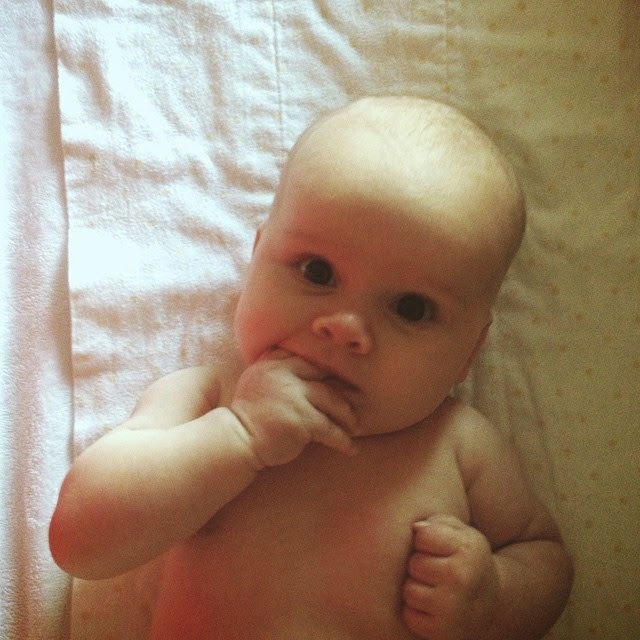 Soft baby rolls make me giddy. 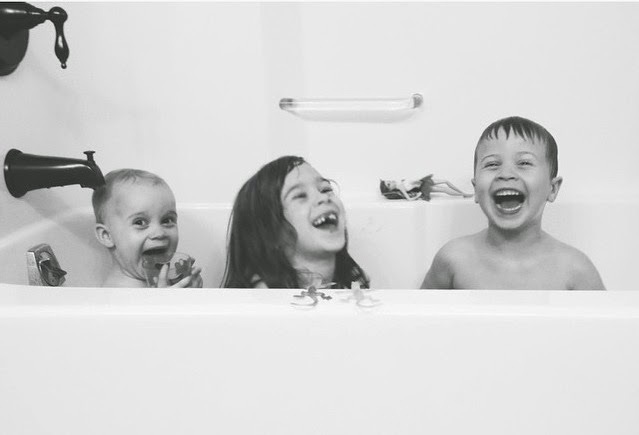 Bath time giggles are contagious. 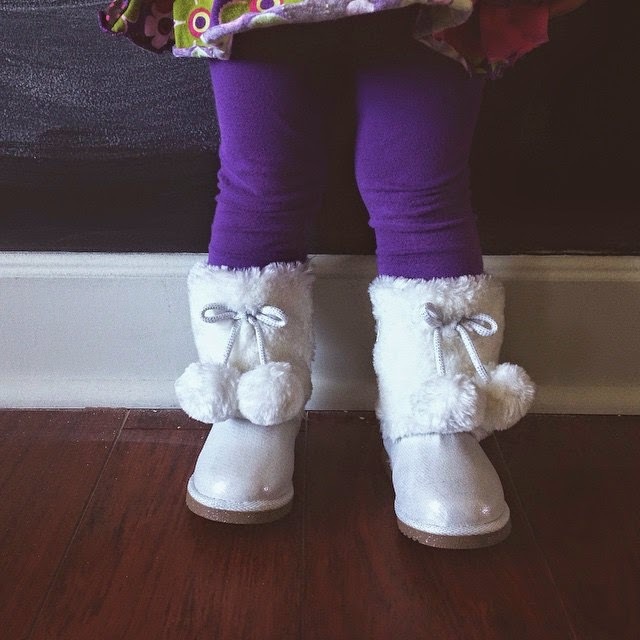 Good thing she has furry, white boots to keep her tootsies warm! We have a standing breakfast date. Every morning. Rain or shine. 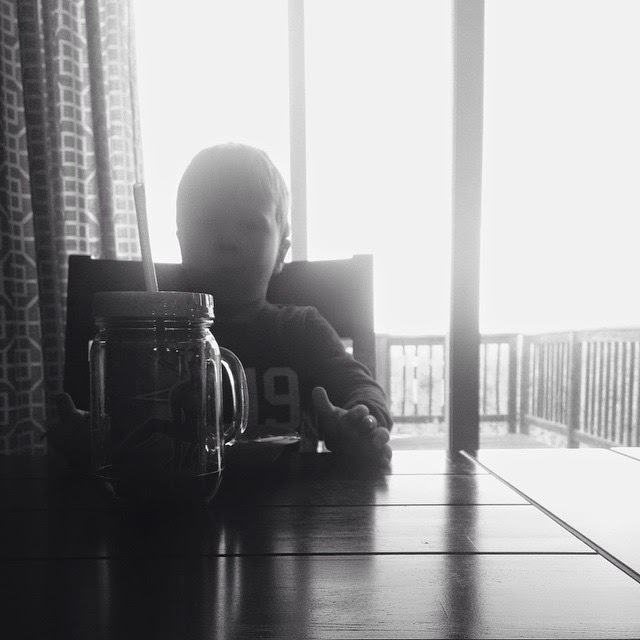 One of these days, I won't have a handsome boy staring at me from across the breakfast table. He will be long gone and I will simply be staring out the window. I truly cherish these little moments when they are little, innocent, and their conversation revolves around tractors, baby dolls, and dreams. Soon enough it will be all about iPhones, makeup, and fast cars. I'll leave you with a little "This & That!" Excited: about having family coming for the holidays and for a sweet seven year old's birthday! Wanting: time to slow down so I can catch my breath. My baby is already wearing 9 month clothes! Looking: for a few special Christmas gifts for my crew. We don't want to over-do it, but we also want it to be special. Currently: listening to the older kids play outside in the snow while the two little girls nap to the hum of their sound machines. Reading: Deuteronomy and it is giving me so much hope regarding things going on in my life. Anticipating: the next Hunger Games movie. Mark and I seem to like them rather well. Wondering: what I am going to wear to Mark's work Christmas party. My post preggers body isn't quite in good enough shape to fit nicely into my clothes yet. Shopping, maybe?? ?